Several mobile frameworks have a clear button that clear text if there is any text in the input element. This is a very useful feature to have. Can this be implemented in Onsen UI? Note: HTML5 has a input type=“search” but it does not work on mobile. @jamal Try with type="search". It can even be customized with -webkit-search-cancel-button selector. @Fran-Diox, well it looks like Apple is slow at fixing things more than later and 2 major version of iOS. 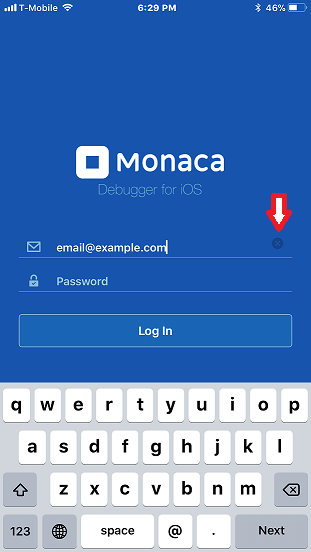 How come you have it in the Monaca Debugger program for iOS? Should I assume you developed it in a different framework? @jamal Not sure about it since I didn’t make the debugger myself but it just looks like a custom div. I’ll discuss with the team about adding this following android and ios specs. @Fran-Diox, that would be awesome! Thanks! BTW, ionic has this feature and other useful properties.